When he hears residents of a Newark neighborhood are getting sick—and even dying—from a strange disease, investigative reporter Carter Ross dives into the story—so deep he comes down with the illness himself. With even more motivation to track down the source of the disease, Carter soon hits upon a nearby construction site. But when the project's developer is found dead, and his mob ties surface, Carter knows he's looking at a story much bigger—and with even more dangerous consequences—than an environmental hazard. Back in the newsroom, Carter has his hands full with his current girlfriend and with the paper's newest eager intern, not to mention his boss and former girlfriend Tina Thompson, who has some news for Carter that's about to make tangling with the mob seem simple by comparison, in The Player by Brad Parks. BRAD PARKS is the only author to have won the Shamus, Nero and Lefty Awards, three of crime fiction's most prestigious prizes. 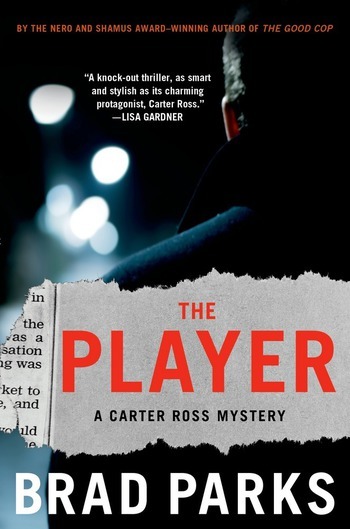 A former reporter for The Washington Post and The (Newark, N.J.) Star-Ledger, The Player is his fifth novel. He lives in Virginia with his wife and two small children.